MR. SUNSHINE. – Hello? I Forgot My Mantra. Published on April 14, 2014 by i forgot my mantra. Well, the sun was out in full force this weekend. Such a lovely treat to be outside and not cold! No puffy coat required! I went to a party on a rooftop on Saturday–and 20 minutes after arriving got a MIGRAINE that forced me to go home and retreat to a dark room. Sigh. 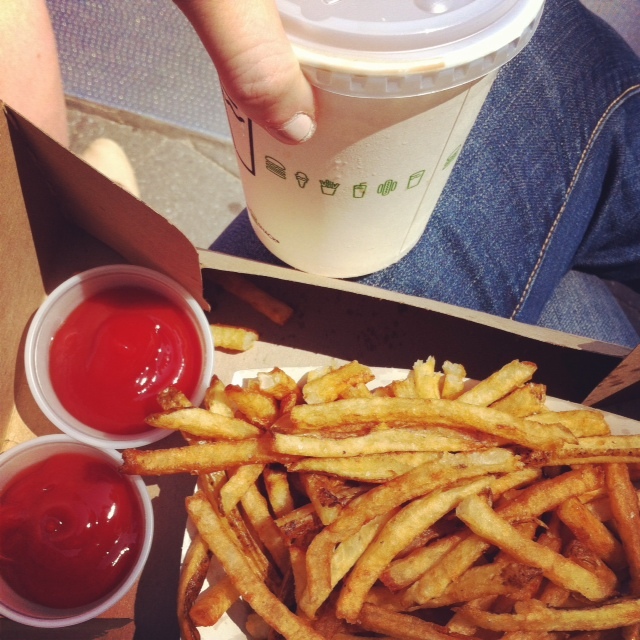 But on Sunday, I rallied for a bit of little league and Shake Shack in the sun. Categories And now it is Monday again. And a trip to STL is on the horizon! Next TURBOTAX IS THE JEWISH MOTHER I NEVER HAD. I feel like it’s a good sign though, right? Fingers crossed for an EB sighting soon.